Fun Fact: The 2015 Kia Sorento is built just a hop, skip, and a jump from Carriage Kia over in West Point, Georgia! The 2015 Sorento is the sculpted, agile family crossover SUV that is practical and purposeful enough to have an answer for every riddle life may throw at you. Stop by Carriage Kia, located in Gainesville, GA, to learn more about the roomy, tech-savy 2015 Kia Sorento! The 2015 Kia Sorento LX runs on a 2.4L inline 4-cylinder DOHC 16-valve CVVT engine generating 191 hp and 181 lb-ft of torque. The Kia Sorento LX V6, EX, SX, and Limited trim levels have more power because they operate on a 3.3L V6 DOHC 24-valve CVVT engine that generates 290 horsepower and 252 lb-ft of torque. The LX trim can achieve 27 mpg highway and 20 mpg city*, while the other trims can just slightly less at 25 mpg highway and 18 mpg city*. The 2015 Kia Sorento’s striking exterior is enough to take your breath away! The 2015 Sorento has amazing standard features including: body-colored heated power mirrors with turn signal indicators, solar control privacy glass, projector beam headlights, heated rear glass with timer and wiper/washer, and alloy wheels. 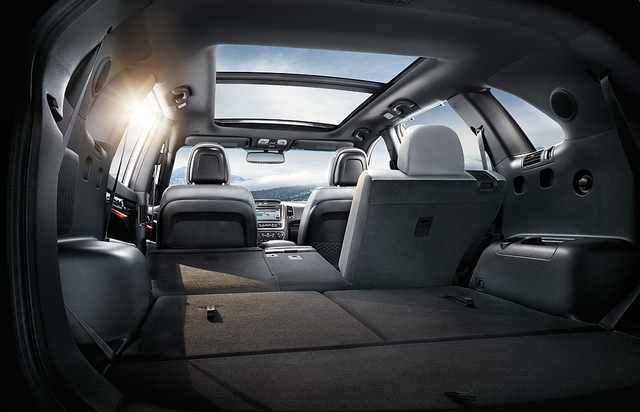 We know it’s hard to believe, but there is more to the interior of the 2015 Kia Sorento than just having plenty of space! Some of the standard interior features include: steering wheel-mounted audio, phone, and cruise controls, EcoMinder® fuel efficiency indicator, remote keyless entry, center console with armrest, under-rear-cargo-floor storage compartment, Tricot fabric seats with YES headrests, AM/FM/CD/MP3/SiriusXM audio system, Bluetooth® wireless technology hands-free connectivity, and a USB/auxiliary input jack. Some of the standard safety features on the 2015 Kia Sorento include: Dual front advanced airbags, dual front seat-mounted side airbags, full-length side curtain airbags, 3-point seat belts for all seating positions, front seat-belt pretensioners, 4-wheel disc brakes w/ Antilock Braking System (ABS), Electronic Stability Control (ESC), Vehicle Stability Management (VSM), Electronic Brake-force Distribution (EBD), Hill start Assist Control (HAC), Tire-Pressure Monitoring System (TPMS), side-impact door beams, front and rear crumple zones, Lower Anchors and Tethers for CHildren (LATCH), and rear child-safety door locks. 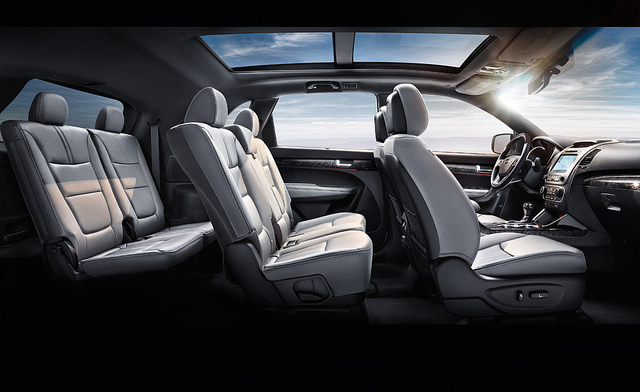 Be sure to stop into Carriage Kia and take a spin in the all-new 2015 Kia Sorento today! With our large inventory, our team here at Carriage Kia loves helping our customers find the perfect new car or used car for them! Please feel free to contact us if you have any questions or would like to schedule a test drive!